The Conservative Party reacted to weekend reports that a senior member had described party activists as 'mad, swivel-eyed loons'. Amid rumours, Tory co-chairman Lord Feldman denied responsibility, while Number 10 said the comments had not been made by ‘anyone in Downing Street.’ Prime Minister David Cameron wrote to party members urging unity, stressing the need for a ‘deep and lasting friendship’ within the party. 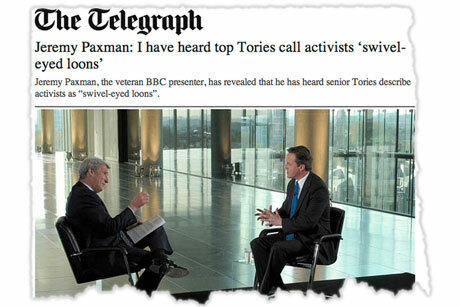 The suggestion that a senior Tory party member had referred to activists as ‘swivel-eyed loons’ was bound to attract headlines. By issuing an assurance that the phrase had not been used, the Number 10 machine hoped to have put the issue to bed. Instead, it launched a loonishambles. The media operation was too quick on the draw and lobby correspondents continued to fuel speculation despite the denial. It also shone a light on the danger of unattributed comments to journalists. And all on a quiet Saturday afternoon, ensuring front-page Sunday billing. Cameron’s letter to members also appears to have backfired. Being forced to assure the party membership that the leader’s team has not grievously insulted its own membership is not a great starting position. Was the Conservative Party's reaction a hit or a miss? Tell us why in the comments below.